Luxury retailer Harrods approached us with a brief to showcase six hero beauty products that help replenish and protect the skin during the change in seasons. The challenge was to find a link between the six skin saviours, come up with an innovative concept and execute it in a way that reflected the Harrods brand. Focusing on the products’ natural ingredients to give the campaign a fresh and organic feel, we enlisted the help of food stylist and paper artist Seiko Hatfield. She created an elaborate sculpture from real fruit and handmade paper flowers. The result is a combination of oranges, clementines, apricots, lemons and blackcurrants intertwined with bespoke dog rose flowers, rose hips and canola. 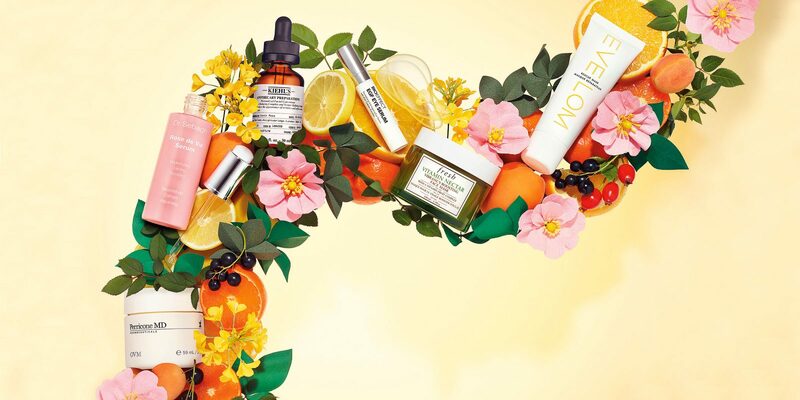 “The intricate matrix of fruit and flowers provided a base to house the six products, giving them equal presence on the page, while highlighting their nature-derived ingredients,” explains Bridge Studio’s art director Sachini Imbuldeniya. The still life was shot by photographer Arthur Woodcroft on a rich golden background to create a warm, autumnal glow, and the outcome is a botanical marvel.